1. 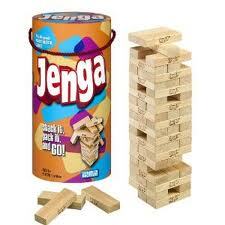 Jenga: This motivating and fun game can be used in a variety of ways. Whether it is to make drilling more engaging by letting the students take a turn after they use their target sounds or respond to a wh- question, or you can buy a cheap knock-off version (mine was about $3) and you can write vocabulary words on the actual blocks. 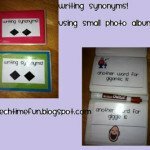 Students can provide definition, give synonym or antonym, or even use in a sentence before pulling that block out. Make sure not to bump into the table!!! 2. 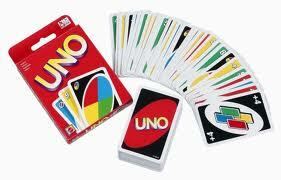 Uno: I’ve used this fun card game to promote pragmatic/turn taking skills or as a reinforcer for my high functioning older students. 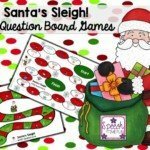 I usually have a timer in my session and if they work appropriately for a certain period of time, they can spend the last 5 minutes playing a quick game. 3. Ned’s Head: Although some of my students have been scared of this game, it is an easy way to make working on vocabulary fun and exciting. I’ve thrown various objects into his head to work on object/function or even conversational cards to work on pragmatic skills. 4. 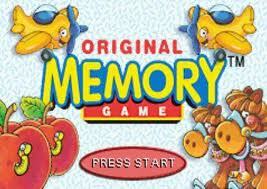 Memory: There are TONS of versions of this game. But so many ways to use it!! 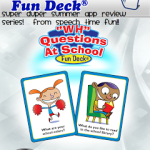 You can use it for categories, teaching same/different, describing, answering wh- questions, the list can go on for days!!! 5. 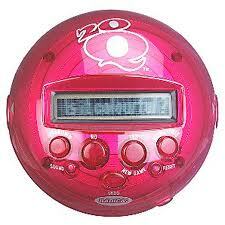 20 Questions: This cheap electronic game you can find in any toy store or even supermarket. I often use this with my articulation groups and make them chose their “item” that has their target sound in it. My students love it when they beat the “computer”. 6. Apples to Apples: LOVE THIS GAME!!! 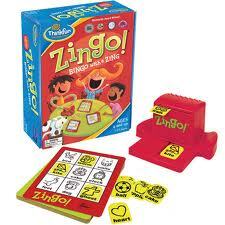 I use this game to teach parts of speech, red apples are nouns, green apples are adjectives. I like to play as well and throw completely wrong things in the mix to see if they understand the vocabulary (if they giggle, I know they got it!). 8. Guess Who: Yes, you are probably thinking I use it for answering “who” questions, but my older higher functioning students enjoy using it for working on inferencing skills. 9. 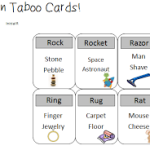 Taboo Jr.: This game is great for working with students with word finding difficulties. Forces them to think of other ways to describe common objects. 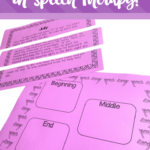 I have also used this game with my fluency kids since it gives them an opportunity to work on their strategies during a “stressful” situation. 10. 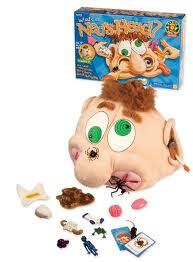 BopIt: This one is the fan favorite in my therapy room. What a great way to work on listening strategies and following directions. Students know they all must keep quiet so the student taking his/her turn can concentrate. They know they have to repeat the directive in their head to help them remember. We play on the “pass it” setting to make it fun and exciting! I hope you enjoyed my list!! I could not survive without these staples in my therapy room. Please share others that you find to be necessities for you! 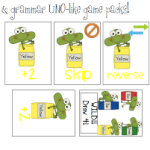 Vocabulary & Grammar Uno-Like Card Games!! !